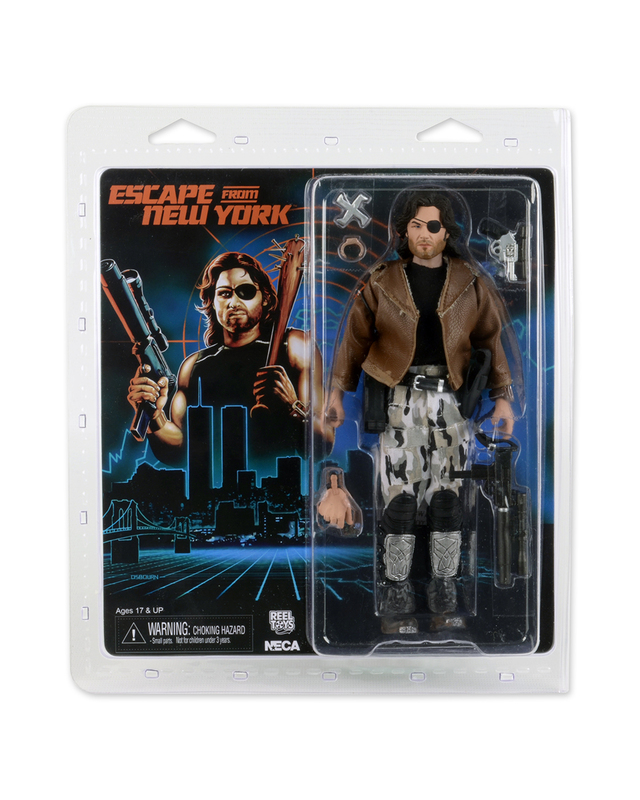 Action figure and action movie fans will both rejoice at our latest offering: a brand new Snake Plissken doll based on the 1981 film Escape from New York, and featuring the likeness of actor Kurt Russell! This poseable 8″ figure is dressed in fabric clothing similar to the toy lines that helped define the licensed action figure market in the 1970s. 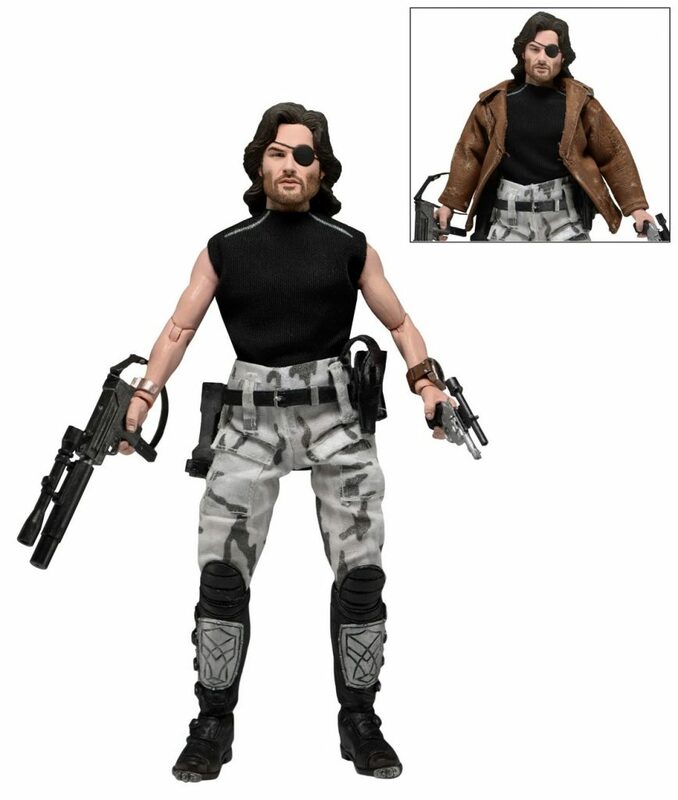 Snake wears his iconic camo pants, muscle tee and assault boots and comes with a removable jacket, holster belt, and enough weaponry to take down a small army. Blister card packaging with removable protective clamshell.